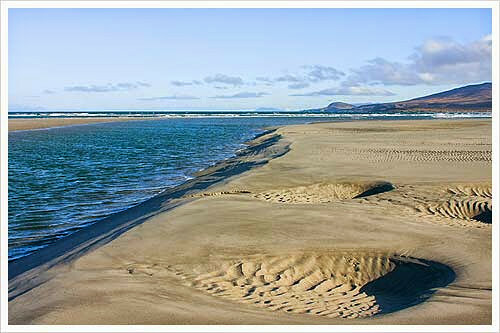 This four day coach tour will take you to Islay, truly a Scottish island paradise. 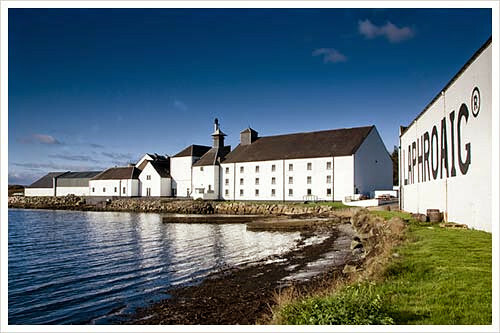 Stunning scenery, ancient history, abundant wildlife and a traditional culture make it an attractive island to visit, but add 8 of Scotland’s finest malt whisky distilleries and you can see why Islay is such a very attractive destination! 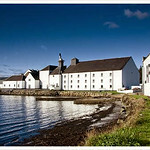 Includes 3 nights accommodation on Islay. Departs Thursdays from Glasgow. 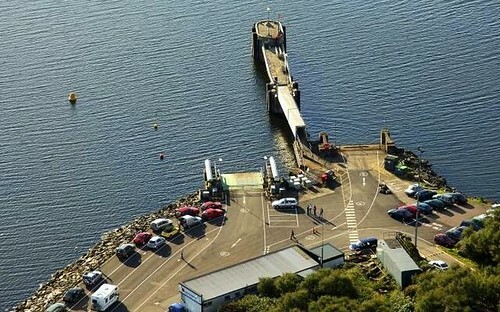 Tour Highlights: Loch Lomond, Kilchurn Castle, Oban, Kilmelford, Kilmartin Glen, Mull of Kintyre, Ferry to Islay, Nature watching, Malt Whisky Distillery visits to Laphroaig and Bowmore, Malt Whisky tastings, Sea food sampling, Inveraray and the "Rest and be Thankful"
We will spend today touring to the Queen of the Hebrides. From Edinburgh we travel westwards to Glasgow, Scotland’s largest city. 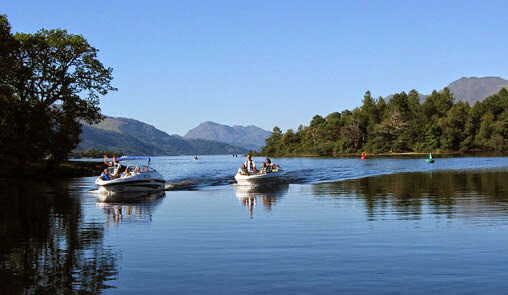 There is sure to be a song in yourt heart as we make our way along the "bonnie, bonnie banks” of Loch Lomond. 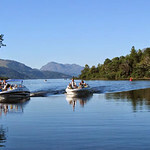 Enjoy the wonderful views of Ben Lomond as we travel towards the pretty little villages of Crianlarich and Tyndrum. See the romantic ruin of Kilchurn Castle on Loch Awe. For centuries the loch was the natural protection for the Campbells of Inveraray against their enemies from the north. 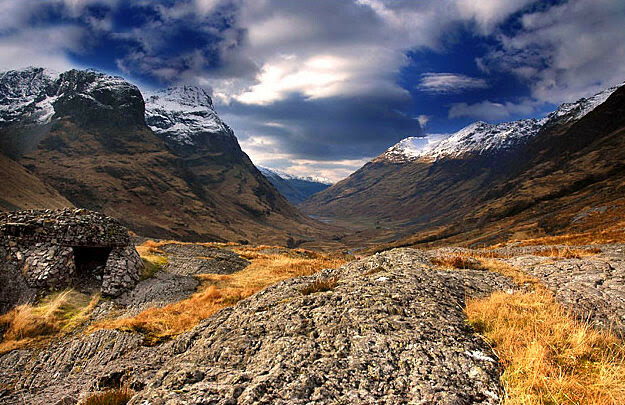 We go through the Pass of Brander, where in 1308 Robert the Bruce routed the Clan MacDougal. Watch out for the Falls of Lora as we make our way into Oban, an attractive fishing port that it is situated on the Firth of Lorne. We will have a chance to discover the bustling community for ourselves when we make a stop for lunch. 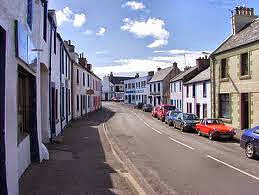 Later we make the scenic drive southwards to Kilmelford and then into the Kilmartin Glen. 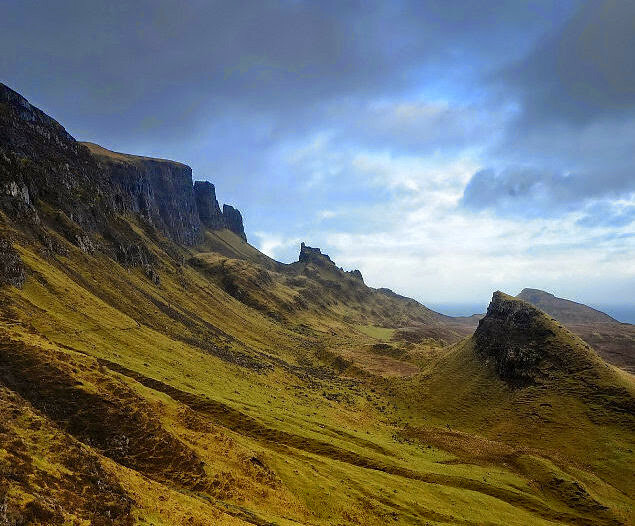 This mysterious Glen has one of the most concentrated areas of prehistoric sites in Scotland including a linear cemetery – a line of burial cairns that stretch for over 2 miles. Nearby is Dunadd, a hill fort that dates from the Iron Age. 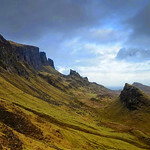 Dunadd was the capital of the ancient Kingdom of Dalriada so this part of Argyll has played an important part in the creation of modern Scotland! 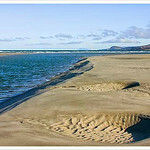 The exact itinerary for these days will vary depending on weather, seasonal and natural attractions. Our flexible approach will ensure that you get the very best experience. 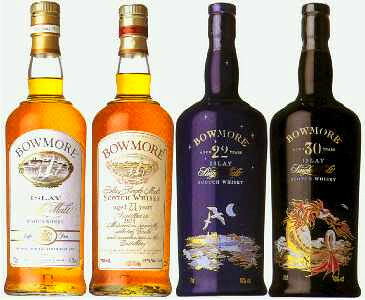 Peat is still cut from the mosslands which cover much of the interior, giving the unique flavour to the 'Islay malts' - world-famous whiskies such as Bowmore, Laphroaig and Ardbeg. 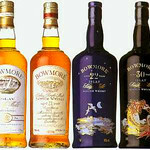 We’ll make visits to 3 distilleries so you can watch the production process and, even better, sample their delights! Sadly we board our ferry and bid a fond farewell to Islay. On our return to the mainland we will retrace our steps to Lochgilphead then follow the banks of Loch Fyne to Inveraray. 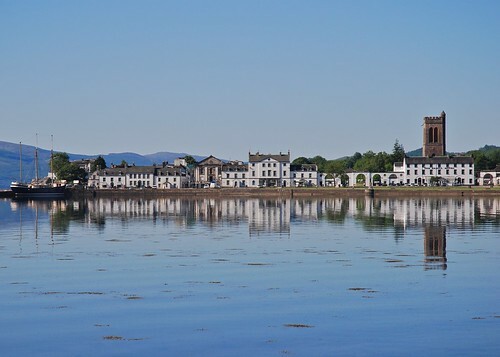 This pretty whitewashed town sits in the shadow of Inveraray Castle, the splendid home of the Duke of Argyll, the Chief of the Clan Campbell. We are in Rob Roy MacGregor country now and as we travel towards the impressive Rest and be Thankful pass there will be stories of cattle rustling and ancient clan rivalries to be told. 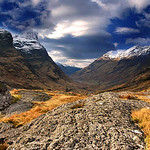 Our descent will bring us into the Argyll Forest Park and then the little village of Arrochar. A short drive will take us back to Loch Lomond. It has 30 islands and we will get a good views of some of the larger ones as we make our way southwards. The Kilpatrick Hills will guide us towards Clydebank, the famous shipbuilding town and then Glasgow. Departure Time: 09:20 hrs - Check-in 09:05 hrs. Prices are per person per tour. 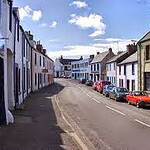 Visitor guide to Kilmelford in Argyll here offer information on accommodation and hotels in Kilmelford. 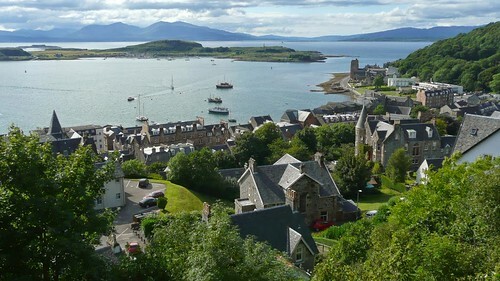 Also include information on visitor attractions and about nearby towns such as Oban and Inner Herbides. 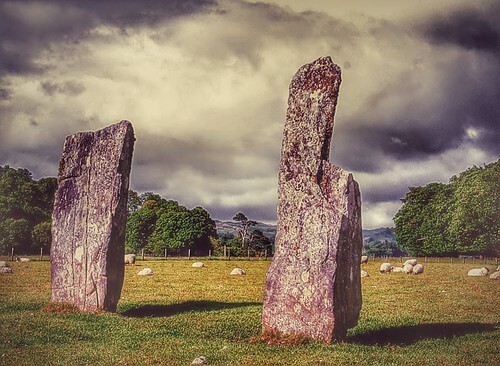 Kilmartin Glen is the site of an incredible 350 ancient monuments. These sites - which include 150 prehistoric monuments all lie within a six-mile radius of Kilmartin village itself.